Kosrae or Kusaie is a well developed and highly maintained diving destination, also nick named The Sleeping Lady because of the shape of one of its mountains. Several resorts and bungalows line its shores with beautiful ocean views, high coconut trees for shade and a perfect atmosphere to relax or start one of your day activities. 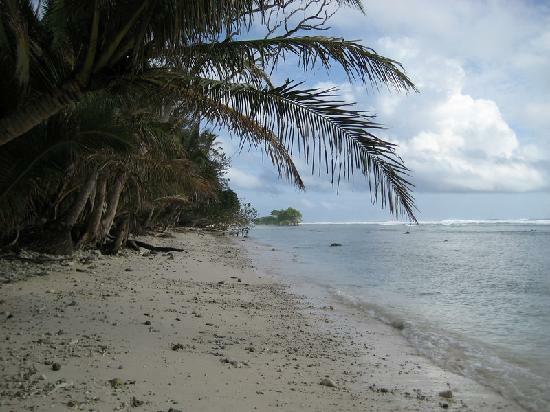 This small ten by ten kilometer long island is ringed with some of the whitest beaches in Micronesia. Life here is still slow with not many paved roads and fishermen still use a traditional lifestyle by using dugout canoes. There are many mangroves adding to the already phenomenal diversity of animal life. You will spot birds and butterflies you have never seen before. The interior of the island is mainly mountainous with dense tropical rainforest, lush river valleys and the highest spot on the island, the 2064ft high Mount Finkol. The steep island Lelu in the east has several archeological ruins belonging to the ancient Malayo seafarers. There are dozens, if not hundreds, of ruins hidden in the jungle of the Lady Island. You can feel the emotion of discovering this lost civilization after walking for hours in the lush rain forest. This is the kind of place ideal for the archaeologist, the geologist, the biologist, and others curious of a mysterious reminder of Kosrae's little know past. Other highlights are the waterfalls on the way to Mount Omah, several Japanese caves and unspoiled jungle hikes. While diving in Kosrae you can expect plunging walls, WWII wrecks and an healthy fringing coral reef perfect for snorkeling as well. 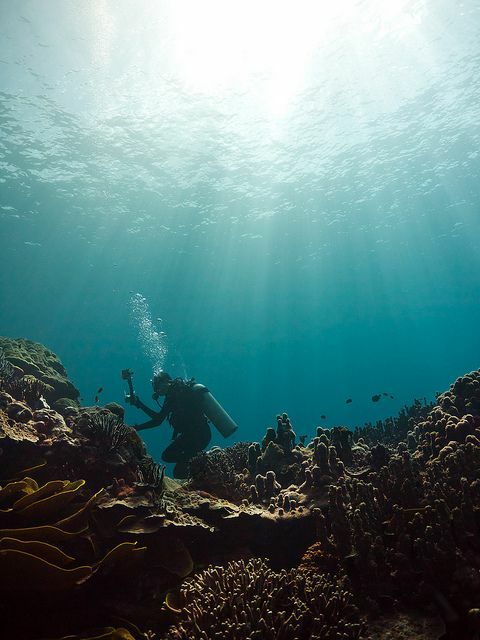 More than fifty different dive sites have been marked with buoys to prevent its well preserved coral reefs from being damaged. Some of the marine species you are likely to encounter are several types of sharks, dogtooth tunas, spinner dolphins and many of the common coral reef fish. The clean waters in Kosrae, although still remote and quiet, have already acquainted an international reputation as a diver's paradise. 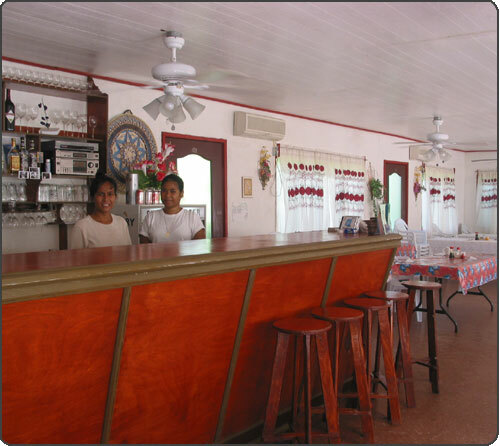 Kosrae is well known for its citrus fruits. Oranges, limes, mandarins, tangerines and other citrus are available from numerous fruit stands. The only service is via United Airlines. 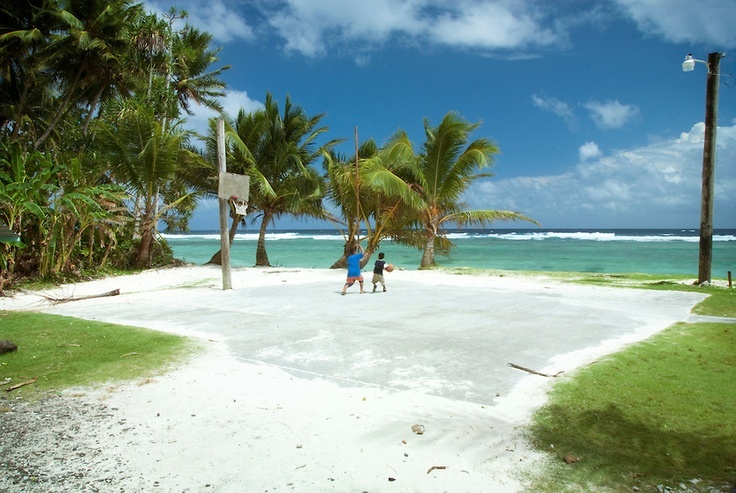 Flights to Kosrae are just as easy from Guam as from Honolulu. There is an airport departure tax of $15. 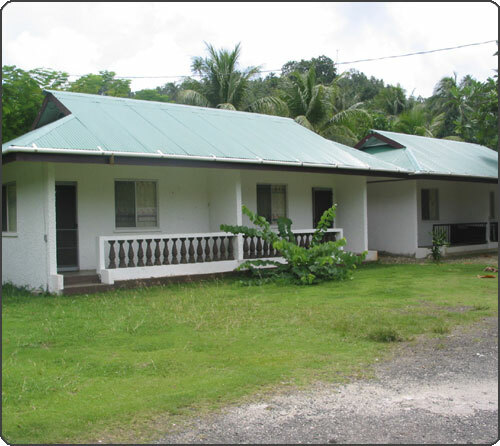 History: Kosrae Island has been populated for several thousand years and as a result the island is a treasure trove of ancient artifacts which allow experts to draw conclusions about the original settlers on Kosrae and throughout the Pacific. The most famous site is Lelu, a small island that is almost completely man made, during a time when a lever and a strong back were the only "heavy equipment" available. Lelu was a series of walled compounds with paved streets inhabited by the royal family and other high chiefs. 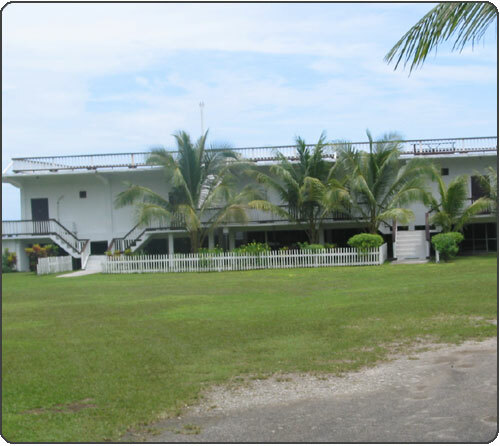 The walls and compounds in the center of the island are still partially intact and are considered one of the archaeological wonders of the Pacific. Starting in the early 1900s there has been a number of excavations at Lelu, including German, Japanese and American teams. 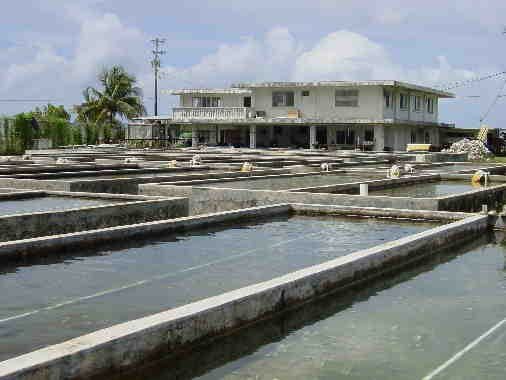 In addition to Lelu there are many other sites throughout the island. 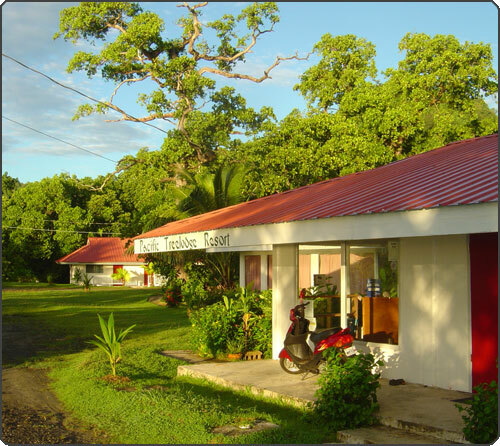 Weather: Kosrae's climate is excellent with warm sunny days and water temperatures between 27 and 30 degrees year around. The best time to go is between December and April. Rainfall is only 12-15 inches per month, primarily during the evenings, and fairly consistent throughout the year. Wind is seasonal. The trade winds blow from November to June, and from July to October there is usually very little wind. 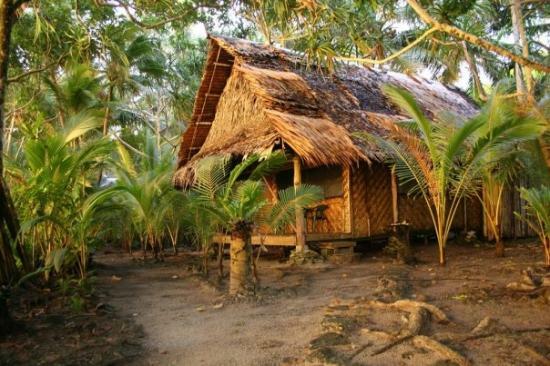 Customs/VISA: Kosrae is highly religious, so don't be surprised that you can't go diving on Sunday or that officials might mention to dress properly and not to disturb the warm-hearted indigenous people.